Use Your Head 2012 | Promoting Helmet Safety | Essential Travel. Now in the 4th year, our Use Your Head campaign is back to promote the benefits of wearing a helmet and other safety gear while on the slopes. As a thank you for wearing a helmet whilst participating in Winter Sports activities, we've partnered with some of the best retailers to bring you a whole host of fantastic discounts, to help you cut the cost of skiing safely. To access these discounts, all you need to do is choose Essential Travel as your Winter Sports Travel Insurance provider, by purchasing our policy and we'll send the discount codes straight to your email! See our participating retailers below. Offer valid till the 10th February. Ellis Brigham are an official partner of the Use Your Head campaign and are offering an online and in-store 10% discount on helmets. As partners of the campaign Neilson have provided an up to 25% discount on their holidays exclusively for Use Your Head. Be the coolest on the slopes with the fantastic Tail-Wags helmet covers, save with a 10% discount exclusive to Use Your Head. You can save 10% on a new pair of skis, poles or even an avalanche safety kit with our awesome campaign partners Facewest. The Use Your Head campaign donates £1 from every winter sports policy sold to the charity Headway. This £1 goes towards Headway's work to improve life after brain injury. Headway provides information, support and services to people affected by brain injury and their families and carers. 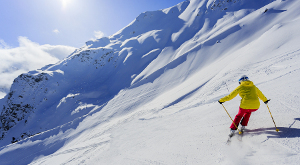 Save 10% with Chelston Direct this ski season. Shop online for a wide choice of ski wear, goggles and accessories. Rental Republic are offering a 10% saving on their ski hire and servicing, both delivered to your door! Fosi Originals (as worn by Carole Middleton) are offering an exclusive £5.00 discount to keep you looking stylish on the slopes! Bobskis sledges will ensure you have fun on their fantastic sledges with an exclusive 10% discount to Use Your Head! Skiing and snowboarding are thrilling sports which can be enjoyed by the whole family but it can present some very real dangers. Frostbite and sunburn are some of the milder consequences but knee, wrist and head injuries are real realities. Accidents can happen to anyone regardless of their skiing or boarding abilities as many injuries occur from others skiing into you or equipment knocking your head. With safety equipment becoming lighter, wearing helmets and other appropriate gear ensures unnecessary injuries are reduced. We've done our research and believe helmets along with other protective wear saves lives. Find out the latest in ski gadgets - we review the Skia Sweetspot Ski Trainer and Fosy Headbands! These are must have's for the ski season. Ski helmets are constantly changing, becoming lighter, tougher and more comfortable. Find out what you should know before buying a helmet. Can A Helmet Save Your Life? With the debate around wearing helmets still ongoing, here is proof that helmets do save lives. SHRED co-founder Carlo Salmini explains the testing and development that goes into helmet production, ensuring your safety on the slopes. With over 70% of people now wearing a helmet when they hit the slopes, we find out the dud reasons for not wearing one. We caught up with pro's Julian Ball, Katie Blundell and Billy Morgan to find out their safety habits before hitting the slopes. Find out what our campaign partners think about the importance of wearing a helmet and why they're supporting our campaign. Learn how to spot areas at risk of an avalanche, recognise when one is coming and how to survive if you're caught in one. We take a look at a range of protective gear designed to minimise injury in case you fall. We spoke to a number of Traumatic Brain Injury victims about their accidents and the rehabilitation that followed and cannot stress enough the importance of safety on the slopes. It's important to instill good practice with younger skiers and create awareness for the importance of helmet use from an early age. The changes in technology also play an important role in safety, with mobile phones being the ideal way of contacting for help in the event of an emergency. Ski schools are a fun and safe way for your child to learn how to ski, here are some things to consider when picking the right ski school. Find out some tips to keep kids safe while out on the slopes without dampening their enthusiasm for the sport. Charlie Elmore, suffered a bad fall, hit her head and had to be put into an induced coma. It was 8 long months of recovery, this is her story. Gregor fell approximately 15 feet from a jump and was in a coma for 2 weeks. If it wasn't for his helmet he would've been far worse. The Crash Reel documentary is Kevin Pearce's story about his recovery following a traumatic brain injury whilst training for the Olympics. A must-see film. With Europe, America, Canada and New Zealand all competing to offer the most pristine slopes whose leading the way in terms of safety? Do you take your mobile phone and spoil the enjoyable peace of the slopes or for safety reasons in case you find yourself in need of help? These apps can help track your progress, as well as measure your speed and distance while out on the slopes. With every winter sports ski season comes the same argument - the importance of ski helmets, do they make a difference and should they be mandatory and if so for which groups? Last year, Essential Travel made it compulsory for all our customers to wear helmets in order to be covered on our insurance policies. Regardless there are still those that refuse to see the benefits of wearing a helmet and those that strongly believe against making them mandatory. We've spoken to the pro's, our customers and the media to find out what they all think.